Jesse Stay is a social media technologist, consultant, and developer. Entrepreneur Magazine and Mashable have listed him among the 10 entrepreneurs and 20 developers to follow on Twitter. 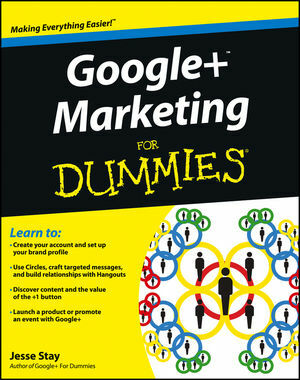 Jesse is the author of Facebook Application Development For Dummies and Google+ For Dummies, Portable Edition.